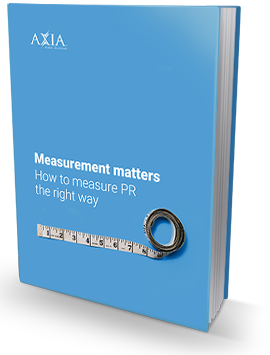 How do you measure PR? This is one of the first questions prospective clients ask us – and it’s a great one. It goes to the crux of how Axia Public Relations provides superior PR services aligned with your company goals. FREE Measurement Matters eBook now!